Melbourne Marine Insurance Forum Incorporated - The MMIF Presents: Matthew O'Sullivan, Head of Marine, Australia & New Zealand Marine Practice Lead, Asia Pacific at Zurich Financial Services Australia - "A review of the IUMI 2018 Conference"
Melbourne Marine Insurance Forum Inc. The MMIF Presents: Matthew O'Sullivan, Head of Marine, Australia & New Zealand Marine Practice Lead, Asia Pacific at Zurich Financial Services Australia - "A review of the IUMI 2018 Conference"
Matthew O’Sullivan joined Zurich Australia in January 2014 as Head of Marine, Technical Lead of Property and Engineering Lines across both its Australian and New Zealand portfolios. In May 2017, Matthew’s role changed to focus purely on marine, and he has taken the APAC Regional Head of Marine role, focusing on growing our marine proposition in Australia and the Region. Matthew is the current Chairman of the Insurance Council of Australia’s Marine Standing Committee, and a member of the International Union of Marine Insurers (IUMI) Cargo Committee. He has published a number of articles and has presented at key industry events, including the 2006 and 2010 IUMI Conferences in Tokyo and Zurich. Prior to this role, Matthew was Head of Marine & Energy for Asia Pacific at Aon Benfield, where he oversaw the treaty and facultative business for the Asia Pacific markets – Australia, China, Japan, Korea and South East Asia - based both in Singapore and in Sydney. 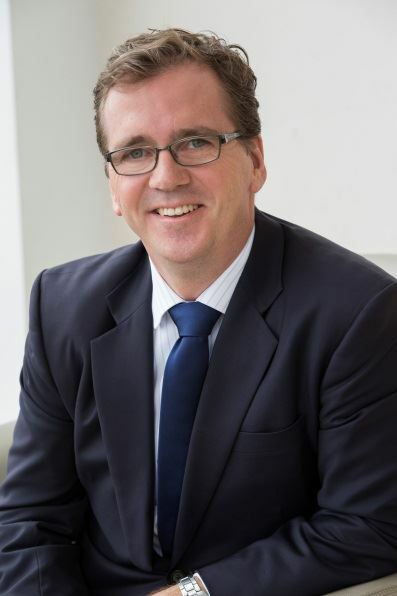 Matthew spent over 16 years with Munich Re, in Sydney from 1991 to 2003, and then in Head Office in Munich from 2003 to 2007. Whilst in Head Office, Matthew was responsible for the marine and property business for key Japanese and Korean clients, and was a member of the Global Line of Business Board for marine. Matthew has a Bachelor of Economics degree from the University of Sydney (1991) and a Masters of Business Administration from the Macquarie Graduate School of Management, Macquarie University (2001). He is a Fellow of the Australian & New Zealand Institute of Insurance and Finance. Matthew will be presenting an update on IUMI's 2018 conference held in Cape Town, South Africa between the 16th & 19th of September and was themed "Managing emerging risks and exposures – think the unthinkable". Copyright © 2017 Melbourne Marine Insurance Forum Inc., All rights reserved.